Check out our latest video below to learn more about us and what you can expect from us as your Realtors. Just minutes from Lake Perris, move in ready 4 bed, 2.5 bath, 2,314 sq. ft. home located on the corner lot of a cul-de-sac st. Welcome home to natural stone tile flooring, crown molding, raised baseboards, and recessed lighting throughout, and includes formal living and dining rooms, family room, dining area and upstairs loft. The backyard has a large concrete patio w/pergola, low maintenance yard & NO neighbors directly behind you & NO HOA's. Located walking distance to Morgan Park & just a few minutes drive to Lake Perris & 215 frwy. Move in ready pool home with 4 bedroom, 3 bathroom, home with RV parking. This home features formal living and dining rooms, family room, large kitchen with gen air appliances, downstairs office/bonus room that could easily be a 5th bedroom with full downstairs bathroom, and resort like backyard with rock waterfall pool & spa, BBQ island and gas fireplace. Meticulously maintained single story home with 4 bedrooms & 3 bathrooms with option for a Next Gen Suite that includes 2 bedrooms, a living space & is plumbed for a mini kitchen & laundry closet for stacking washer & dryer. Upgrades include granite kitchen counter tops, stainless steel appliances, 18" tile flooring, LED dimable lights throughout & low maintenance yard. Beautiful 4 bedroom, 3 bathroom home with formal living and dining room conveniently located just off Foothill Parkway close to schools, parks, shopping and freeway access. Peek-a-boo views from the balcony and spacious backyard with raised planters for gardening. It's something that everyone wants and only few can have…. Your new home here combines all the conveniences of luxury living with all the warmth of an intimate community. This is the ultimate oasis for trendy urbanites. Whether your a first time home buyer or a suburbanite looking to downsize and experience and live the walkable city life, you have found it here with the prestigious Harbor Lofts Building in vibrant revitalized Downtown Anaheim. This 2,499 sq. ft. pool home w/4 bed, 2 bath, sits on 33,541 sq. ft. of horse property. Formal Dining or Living Room, Updated Kitchen Appliances, Great Room with Fireplace and Wet Bar, & Newer Saltwater Pebble Tech Pool & Spa. Gorgeous South Corona home located in the Ashwood @ Chase Ranch gated community. This home is in move in ready condition w/4 bedrooms + loft & bonus room & 3 full bathrooms. Brand new, never used stainless steel appliances, stainless steel hardware, new luxury vinyl plank (LVP) flooring, new blinds, new carpet, fresh paint in & out, ceiling fans in nearly every room & recessed lighting are found throughout this VERY well maintained home. Now THIS is urban living! Located a short walk to the Anaheim Ducks practice rink, parks, museums and the Anaheim Packing District, this is your opportunity to own one of the largest lofts in the Harbor Lofts community. This beautiful single story, corner unit located on the 2nd level features 3 bedrooms, 2 full bathroom, 2,452 sq. ft. of living space with sanded and sealed concrete flooring throughout and stainless steel lighted ceiling fans in nearly every room. Located on the same level is the pool, spa, fitness center, outdoor BBQ's and seating area and 2 car stalls in the secured subterranean garage. Great opportunity to own in the highly desirable Mountain Gate community of Corona. Single story corner lot home with 3 bedroom, 2 bathroom on a large lot of 10,980 sq. ft. just across the street from a greenbelt leading to Mountain Gate parks. opportunities with amazing panoramic views & fruit trees including plum, peach, lemon & apricot. 2 bedroom, 2 bathroom condo located in the Crown Villa Community in Corona for under $300k. Beautiful views of the Cleveland National Park, mountains and city light views. Updated kitchen and bathrooms. Great community amenities that include a pool, spa, community room, gym, dog park and much more. Quaint bungalow style 2 bedroom, 1 bathroom home on 6,970 sq. ft. lot. This beautiful home may be small but it's BIG on character. This charming farm house styled home features family room that opens to the fully remodeled kitchen, eating area and bathroom. The backyard is spacious with fruit trees. Located close to the 91 freeway and shopping. Spacious 2 bedrooms, 2 bathroom triple wide mobile home located in the Walnut Creek Mobile Estates park. Home features brand new carpet, fresh paint throughout, and new Luxury Vinyl Plank (LVP) flooring. The park amenities include a pool & spa, 2 showers, 2 saunas, and a clubhouse with pool tables, full kitchen, and library. Gorgeous move in ready home conveniently located min. from OC, just off Green River. This lovely 3 bed, 3 bath home is beautifully updated inside & out. Upgrades throughout this home such as recessed lighting, laminate flooring, remodeled kitchen, 2 bathrooms & updated outdoor living area all done in the last 3 years. March 18th ~ Congratulations John & Jodi on closing escrow on your home. March 15th ~ Congratulations to our seller on closing escrow on her condo in Corona at FULL PRICE in less than 15 days! March 8th ~ Congratulations to Ray & Mayra on closing escrow on your home at full price. We look forward to helping you find your next home soon! February 26th ~ Congratulations to our buyer Hiromi and our seller's Michael and Cheryl & Gary and Diane on closing escrow on their home. February 25th ~ Congratulations to our seller's Larry & Anabel on the purchase of their home. We're so excited for you both! February 22nd ~ Congratulations to our seller Diane who sold her home to our buyer Janell and closed escrow in just 22 days! February 21st ~ Congratulations to Janell on closing escrow on her home we sold in 15 days! Also thanks to her brother, Chris for referring her to us We love helping our past clients. February 13th ~ Congratulations to Norm & Sunny on the close of escrow of their home at full price! February 6th ~ Congratulations Kevin & Miki on closing escrow on their first home. Were so excited for your two. January 30th ~ Congratulations to our buyers Jorge & Gaby. Closing was a day late because their baby was a day early but in the end they own a home and we're so excited for them! January 25th ~ Congratulations to Drew on purchasing his first home. We're so excited for you! January 17th ~ Congratulations to our sellers on successfully closing escrow on their home to purchase a new build. January 4th ~ Congratulations to our clients and friends Ken & Michol on purchasing their first home together. We're so happy for you both. December 27th ~ Congrats to Robert & Sera on closing escrow on their home in 16 days at full price! November 7th ~ Congratulations to Jeff & Carrie on successfully closing escrow on their condo in Huntington Beach. October 10th ~ Congratulations Jim on going into escrow in 7 days, closing on time and above asking price! October 4th ~ Congrats Mark on closing escrow in less than 2 weeks! Thank you for trusting our team for a 3rd time in your real estate needs. October 2nd ~ Thank you Larry & Ofelia for trusting once again in your real estate needs. Congrats on closing escrow ABOVE asking price! October 1st ~ Congrats Joan & Nelly on closing escrow on your home at full price! 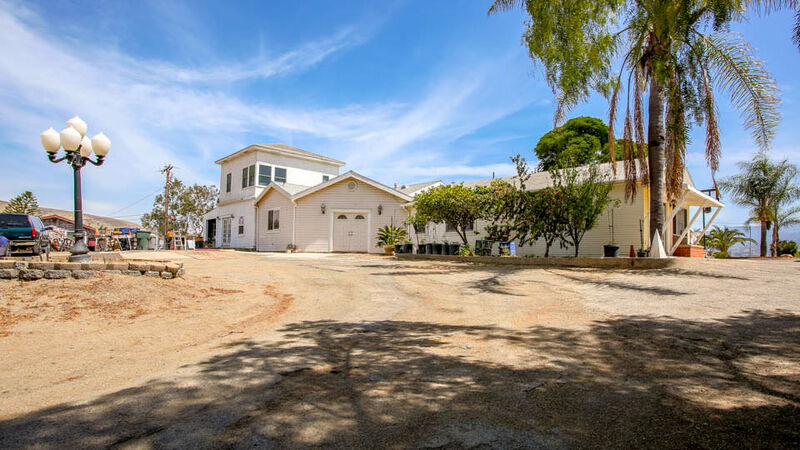 Based on information from California Regional Multiple Listing Service, Inc. as of Apr 19, 2019 12:55:am. This information is for your personal, non-commercial use and may not be used for any purpose other than to identify prospective properties you may be interested in purchasing. Display of MLS data is usually deemed reliable but is NOT guaranteed accurate by the MLS. Buyers are responsible for verifying the accuracy of all information and should investigate the data themselves or retain appropriate professionals. Information from sources other than the Listing Agent may have been included in the MLS data. Unless otherwise specified in writing, Broker/Agent has not and will not verify any information obtained from other sources. The Broker/Agent providing the information contained herein may or may not have been the Listing and/or Selling Agent.